The Federal Trade Commission announced today that it has reached a settlement with Vizio, which it alleged misled customers about what data its smart TVs were collecting. 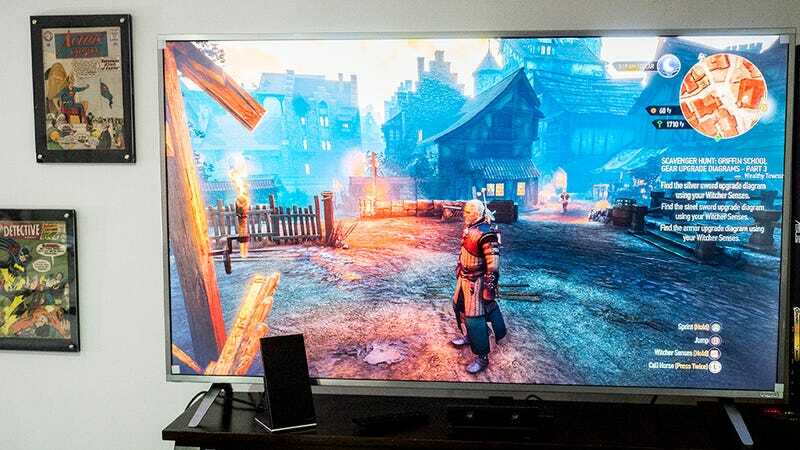 Vizio agreed to pay $2.2 million in penalties, including $1.5 million to the FTC and $1 million to the New Jersey Division of Consumer Affairs, with $300,000 suspended. The lawsuit centered on Vizio’s “Smart Interactivity” feature, which the company said “enables program offers and suggestions.” That sounds great! I love offers and suggestions, as do my friends and family! But that wasn’t really what was happening. According to the complaint, Vizio began tracking consumers’ data in February 2014, on both new and old TVs. The “Smart Interactivity” feature was a cover for a technology called ACR, which tracks viewing data “second-by-second,” while the TV settings offered no explanation about what that feature was actually doing. Vizio, meanwhile, didn’t inform consumers it was collecting the data and didn’t offer any explanation of what it was collecting. TVs that were purchased after August 2014 displayed no notification at all that the tracking was enabled, and TVs that were updated in 2014 received a notification that didn’t tell consumers what Smart Interactivity was actually doing, just that it was enabled and could be disabled through settings. The notification disappeared after 30 seconds on screen. Even before today’s resolution was announced, VIZIO had addressed the concerns by updating online and onscreen disclosures. For example, the FTC Complaint acknowledged that VIZIO has sent onscreen notifications informing users about viewing data collection, reminding users of the option to turn this feature off or on, and educating users about the purpose and nature of its viewing data program.